The declining costs of battery storage technologies (Li-ion in particular) and ratcheting down of solar tax credits and feed-in tariffs (FiTs) is enhancing the financial viability of integrating solar PV and stationary battery systems. That’s true in the broadest of perspectives: globally in terms of geography and across the value chain, from home and building owners to businesses, municipalities, utilities and regional grid operators. The solar-storage market in Europe is developing more from the ground up rather than the top down. Even before being able to deliver promised results, crafting the right business model is key for the small but growing number of European businesses looking to build solar-storage products, services and business lines, Florian Mayr, principal and head of energy storage practice at Apricum – The Cleantech Advisory, explained in a recent interview. Taking advantage of government incentives, around 29,000 battery storage systems have been installed in German solar households, making Germany’s the leading solar-storage market in the E.U. at this early stage of development. Rapid growth has also coincided with reductions in solar FiT rates and rising electricity prices, Mayr highlights. 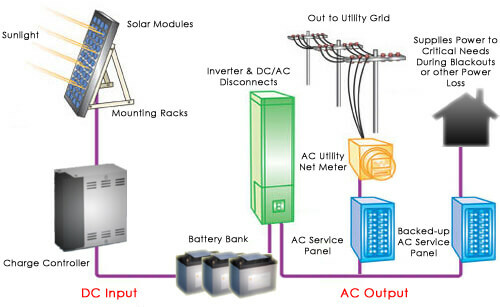 Opportunities exist for companies able to aggregate residential, as well as commercial and industrial, solar storage capacity and generate revenues via ¨benefit stacking – realizing additional revenue streams such as participation in the primary reserve market by forming a virtual power plant or peer-to-peer trading,¨ he continued. Smart storage technology providerSonnen is one German company taking this approach. Other prominent market players include homegrown companies such as E3DC and Senec. International market participants, including Panasonic and Tesla, are also beginning to make their presence felt. Co-locations of utility-scale solar power generation and energy storage by European utilities have been few and far between to date thus far, but Mayr believes that the offer various advantages. He cites avoiding curtailments of PV output due to substation bottlenecks, smoothing out, or shaping, PV production to match demand profiles and provide more stable power output. The potential for power arbitrage also exists where wholesale power prices for daylight periods vary significantly. Such facilities could store PV power during the middle of the day when output is highest and then sell and dispatch it at higher priced periods of the day. Providing frequency regulation and load shedding services to grid operators are other potential benefit-stacking revenue streams. U.K. distribution network operator Western Power Distribution has signed an EPC contract with RES for a 640-kWh battery storage system, Mayr points out. The aim is to demonstrate the enhanced performance and value that can be derived by networking behind-the-meter battery storage systems to a British Solar Renewables’ solar PV farm. Shedding load to networks of battery storage assets is one example of demand response mechanisms integrated solar, wind and even EV-storage systems can offer utilities, Mayr continues. Doing so would enable them to tap into, make use and derive value from the ongoing shift from centralized to distributed energy resources (DERs). Capable of delivering increases in overall power efficiency, power demand can be reduced significantly. 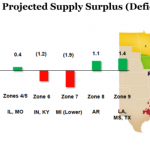 That, in turn, can yield substantial reductions in operating costs to utilities, as well as reducing the number and severity of power outages. 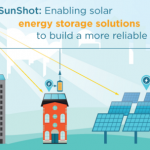 Whatever the application, solar-storage systems rely on a network infrastructure that includes predictive analytics and real-time technical response mechanisms. ¨Ideally,¨ Mayr said, ¨it will also allow the system to respond to pricing signals, buying at the cheapest prices from the grid and selling at the highest. ¨The management of ‘big data’ like this requires a powerful software solution – often referred to as ‘distributed energy resource management software’ or DERMS¨ – that latest of which are cloud-based platforms connect to different types of assets to track and manage data centrally or from distributed locations, he explained. 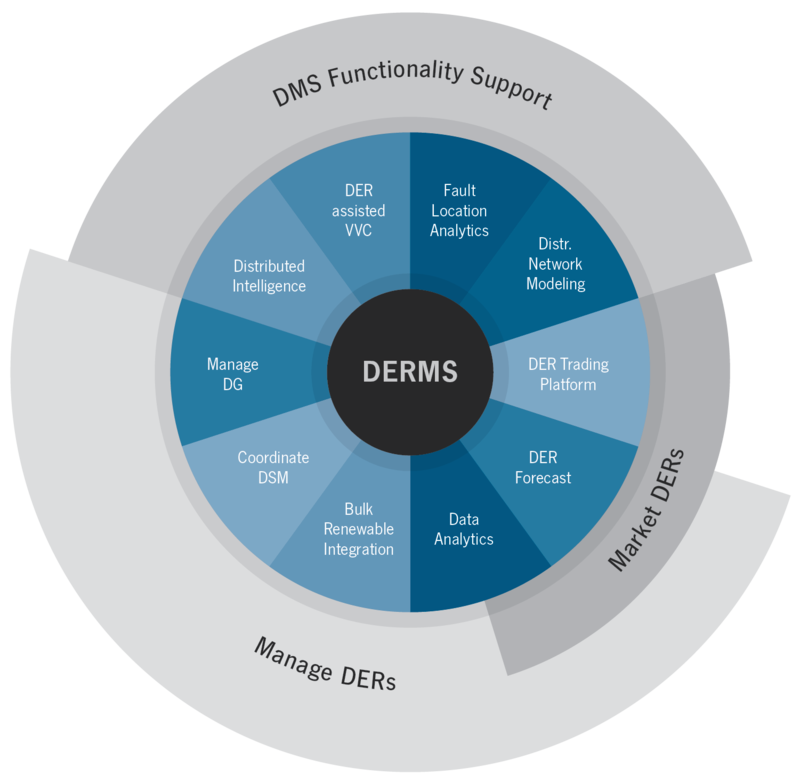 Utilities are driving demand for DERMS in North America as they integrate demand response features and functionality. Startups, such as Blue Pillar, are targeting other market segments, however, including hospitals, universities and data centers.